On June 5, 1981, ''Morbidity & Mortality Weekly'' announced the mysterious presence of Pneumocystis carinii pneumonia in five gay men. 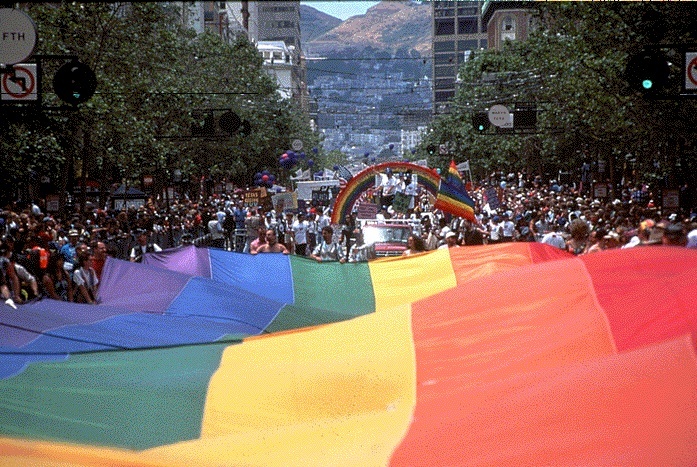 July 3 marked the first public news of what was to become known as AIDS, as the ''New York Times'' published the first article on "the Gay Cancer," Two days later, ''Morbidity & Mortality Weekly ''announced the outbreak of Kaposi's Sarcoma among 26 gay men in the U.S.
'''JACK:''' Somewhere in the early '80s -- I guess it was '81 -- one of the big, final blasts of this whole sexual abandon was at the Handball Express, down on Harrison, just off of Sixth Street, they had a party -- it was a hospital party -- for sick men. '''JACK:''' You could joke about things like that then. You could joke about being sick -- "Oooh! That's so SICK!" You could joke about death. [Pause] It was very youthful. It was very callous. As youth should be! You know, I'm not putting it down, but -- we had to learn a lot of things the hard way. And it's a lot harder than it could have been, or should have been.